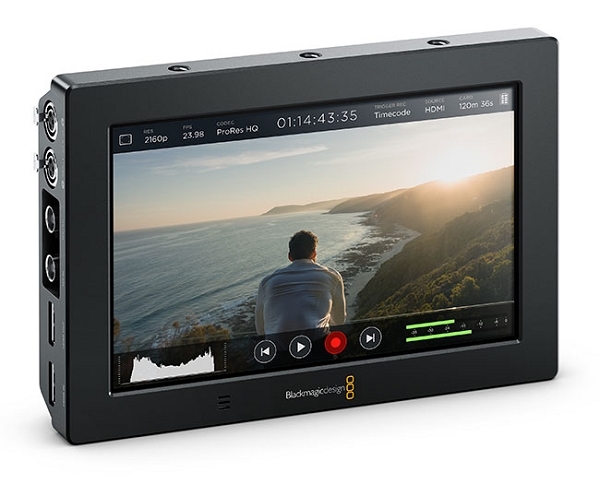 The Blackmagic Video Assist 4K is a 7″ high resolution monitor with an Ultra HD recorder. Video Assist 4K features a two high speed recorders for non-stop Ultra HD recording, XLR mic inputs, a built in speaker and more! The larger screen is 1920 x 1200, so you can see a full 16:9 image without the status bar covering the picture. 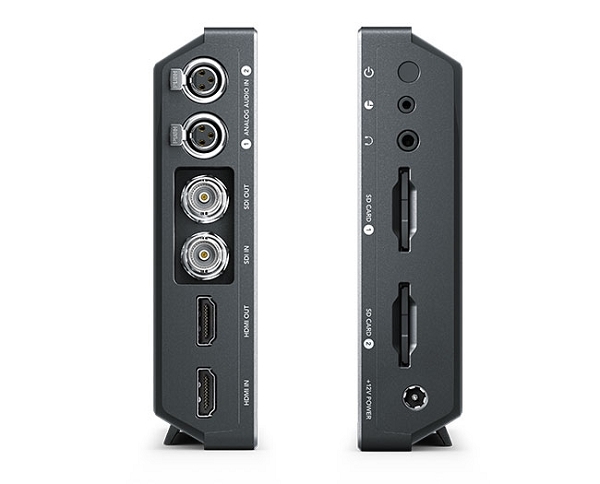 Video Assist 4K features the latest high speed UHS-II SD card recorders and can record 1080 HD as well as Ultra HD up to 2160p30 on low cost, readily available SD cards! You also get two extremely low noise professional analog mini XLR connections so you can bypass low quality DSLR audio and connect professional microphones directly. High Quality Audio. 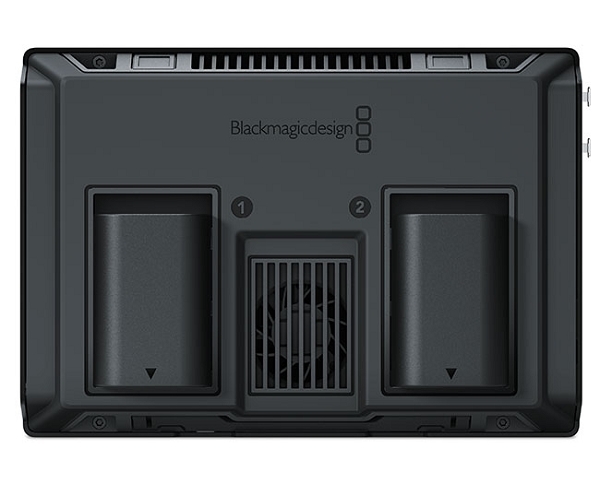 More than just outstanding video, Blackmagic Video Assist 4K is also an extremely high quality audio recorder. You get two mini XLR inputs with 48V of phantom power so you can attach external microphones to record audio with Video Assist, instead of your camera. This totally eliminates the problems with auto gain controls on DLSR cameras! With an amazing equivalent input noise floor of -128dBV, you get high quality, crystal clear audio that sounds dramatically better than camera audio! Sound is recorded into the same file as the video so you don’t have to worry about AV sync between separate audio and video files! Analog Audio Output 1 x 3.5 mm stereo analog audio output jack. Remote Control 1 x 2.5mm LANC for Record Start and Stop. Recorder Control Integrated capacitive touchscreen LCD with onscreen controls for settings and navigating menus. Screen Dimensions 7" 1200 x 1080 capacitive touchscreen LCD. Computer Interface 1 x Mini-B USB 2.0 connector for initial setup, software updates and Video Assist Utility software control.